Sifting through a collection of art ephemera is a bit like prospecting. Most of the time, the things that you find are of little or no interest, but every once in a while you strike intellectual gold. 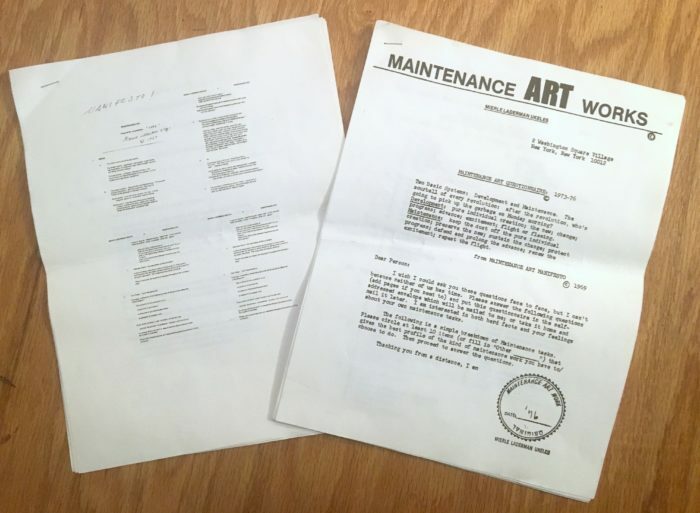 That’s how we felt when we uncovered two items distributed by the pioneering Feminist and Social Practice artist Mierle Laderman Ukeles: a xerox copy of her famous 1969 Maintenance Art Manifesto along with a Maintenance Art Questionnaire. 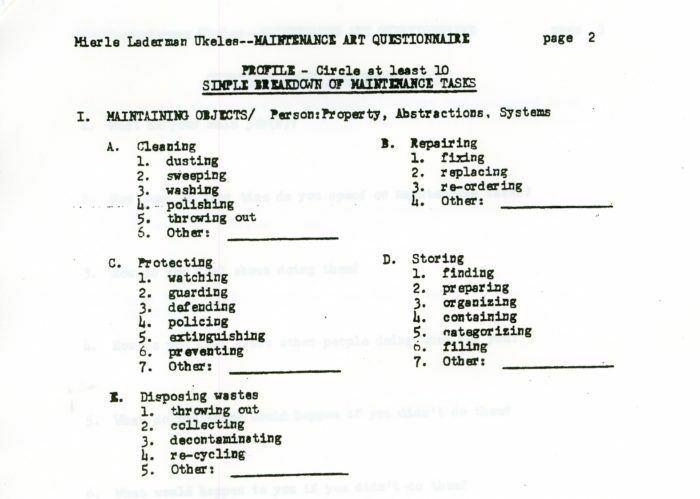 Ukeles first introduced her Maintenance Art Questionnaire in 1973. 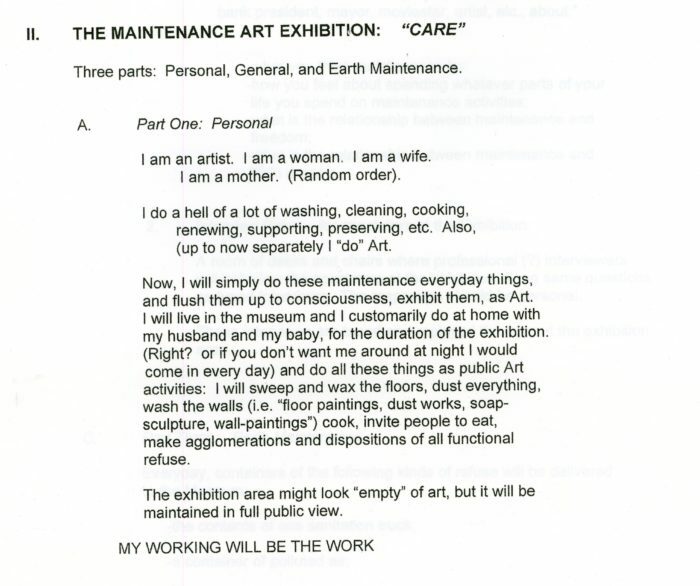 Gallery 98’s Maintenance Art Manifesto and Questionnaire were likely distributed at the Whitney Museum Independent Study Program exhibition, Art < > World (September 1976), where Ukeles collaborated with 300 maintenance workers. Her inspiration may have been rooted in Feminism, but her ongoing creativity would be driven by her fascination with the idea of maintenance. The Questionnaire was both a way to explore this interest and to help viewers engage with her work. Mierle Laderman Ukeles recently had a major retrospective at the Queens Museum, and is currently prominently featured in the exhibition Art in the Open at the Museum of the City of New York. Gallery 98 has other Ukeles ephemera and she is also part of a spotlight selection documenting Women in Art in the 1970s-80s. © 2019 Marc H. Miller. All Rights Reserved.